Manipulator Dalmec for mechanical components. Dalmec handling system for mechnical parts. 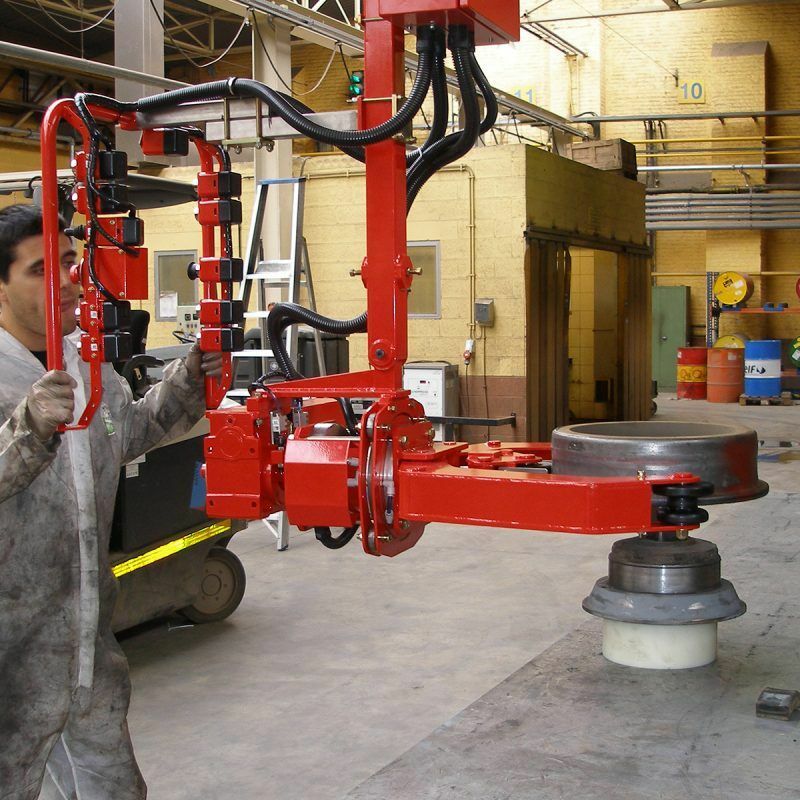 Manipulator Partner, column mounted, with pneumatic tooling for picking mechanical components and manually rotating them through 180°, for use on a machining centre. 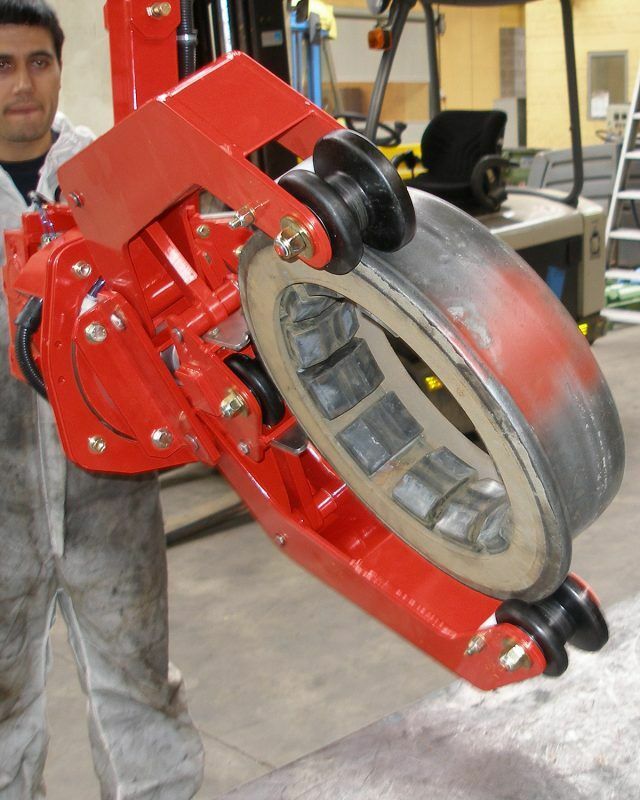 Dalmec handling system for gripping mechnical parts. 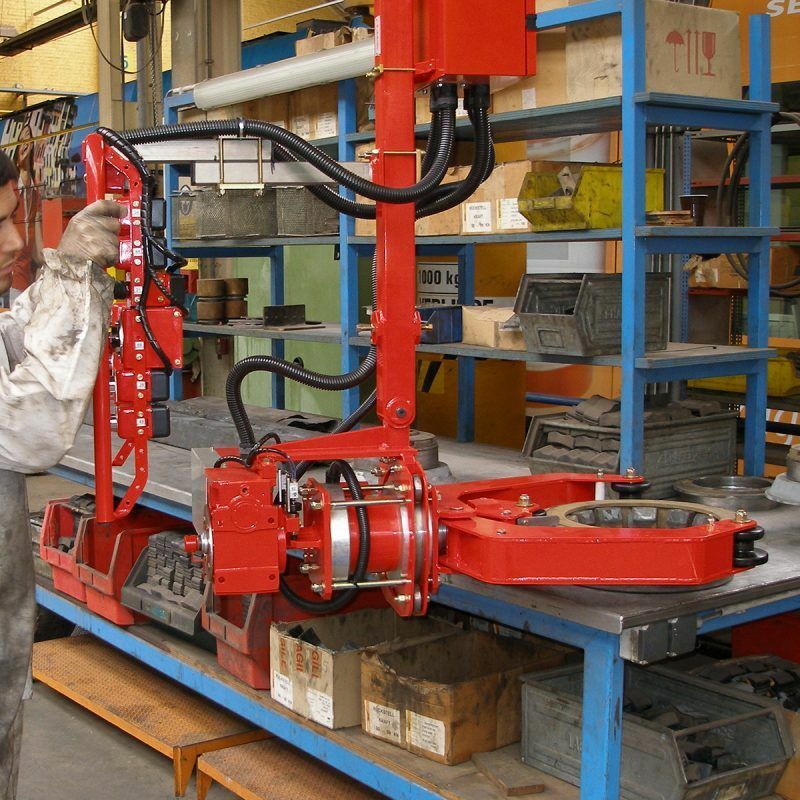 PEC Partner type Dalmec manipulator, column mounted version, equipped with pneumatic tooling for handling, inclination and servo-assisted rotation of mechanical parts. 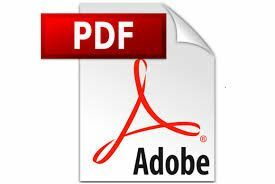 Simple to use, they allow the operator to move boxes, bags, packaging, and food products of all kinds throughout the working area quickly, accurately and safely.